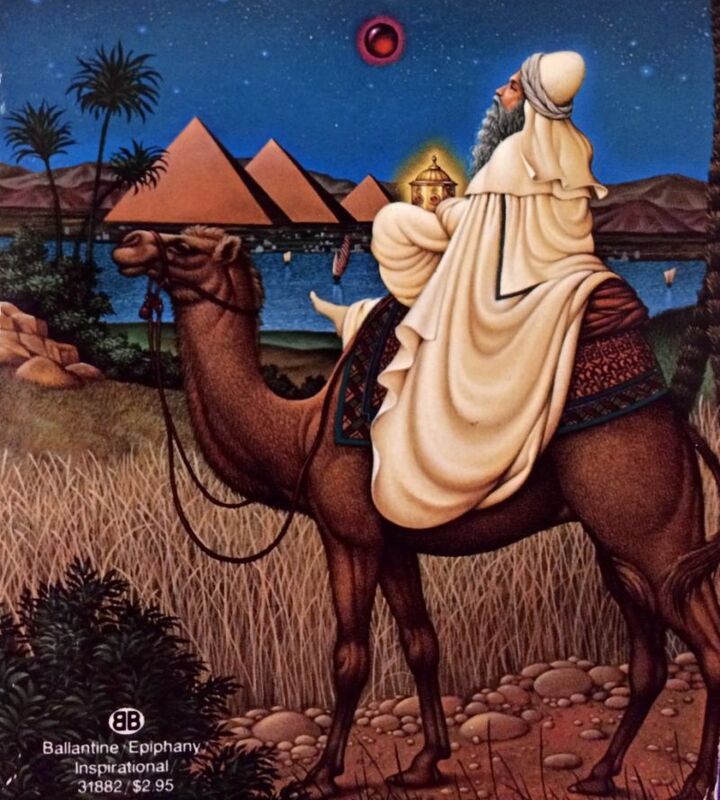 I picked up this little book, The Story of the Other Wise Man by Henry van Dyke, at the Bay Area Storytelling Festival several years ago, and only read it recently. I'm deeply touched by the journey of this wise Persian man's seeking through services to humanity even when his services seemed to "distract" him from reaching the divine at times. Some may know the story of Three Wise Men of the East, who traveled far to arrive in Bethlehem to meet the newborn Jesus, after seeing the sign from the stars. This story is about the “fourth” wise man named Artaban, who never made it to the physical presence of Jesus. He missed the appointed time to meet at the ancient Temple of the Seven Spheres where his three brethren waited for him for ten days before caravanning on their pilgrimage to Bethlehem. Artaban sold everything he had for three treasures that he could gift to the newborn King of Israel--a sapphire, a ruby, and a pearl. He invited his friends to join him on this great pilgrimage too, but nobody believed in his vision. On the tenth day of his journey alone to the Temple with his tired horse, he was so close to his destiny when he saw on his path a dying man. Although he was painfully aware that helping that man could severely delay his meeting with his brethren, he couldn’t just walk away from that dying man and leave him for animals to devour. After restoring the man’s life, he traveled as fast as he could to the Temple, but only found a note from his companions who thought he might have given up on the pilgrimage. In order to cross the desert alone, he had to sell the sapphire to buy camels and other supplies. Finally he arrived in Bethlehem, but three days too late to see the child, whose parents had fled to Egypt to avoid the massacre of infants in that area by King Herod. In the middle of the massacre, Artaban used the ruby to save another child’s life before he traveled to Egypt and later many other countries. After 33 years, he was still a pilgrim, searching for Jesus. During those years, he found no one to worship but many to help. He fed the hungry, clothed the naked, healed the sick, and comforted the captive. It seemed almost as if he had forgotten his quest. He became old and weary. Sometimes he would wonder if his friend was right, “The darkness is equal to the light, and that the conflict between them will never be ended” With his last jewel, the pearl, resting in a secret place in his bosom, he arrived in Jerusalem again. He learned that the King who had somehow led him for a lifetime of seeking over land and sea had arisen, and had been denied and cast out. There finally came a time for Artaban to offer the pearl for His ransom before he dies. As he followed the crowd to the execution site, a woman broke away from her tormentors and threw herself at his feet asking for saving her from being a slave. Artaban trembled. It was the old conflict in his soul. But how could he not help this woman? He took out the pearl and laid it in the hand of the slave. A calm radiance brightening his pale face, Artaban found his King. So often, as I hurry on my way to see a teacher who teaches compassion and love, I fail to see the elder who needs my help by the roadside. What am I really seeking then? There may be many ways climbing the sacred mountain; cultivating a pure heart and doing small acts of compassion at each divine or mundane moment seem to make the most sense. What is divine and what is mundane?